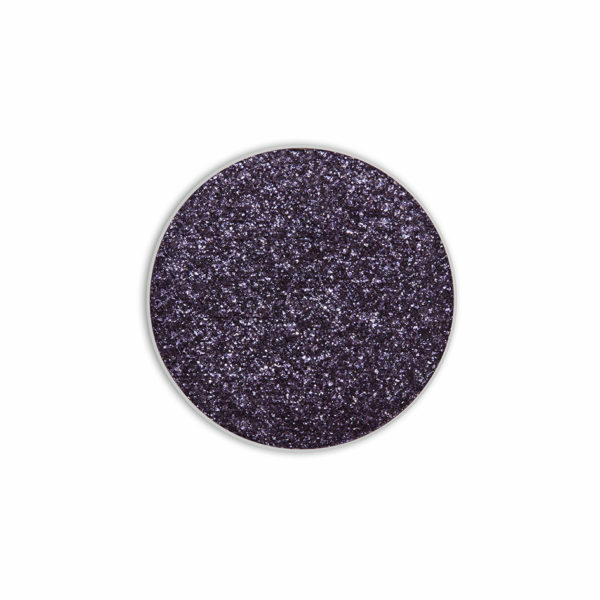 A pressed glitter finish adds something special to this deep purple shade. Intensely saturated powder with an almost iridescent pigmentation means you have so much to play with. Bring on the drama by building the shadow high up into the socket, or play it more reserved with a precision lid line. What are you waiting for, dive in. Shade Description: Cool dark violet blue with frost finish.